My first Starlooks Starbox has arrived !!! Wooooh ! I am stoked to see what is inside ! What do you think is in there ? If you havnt already check out Starlooks site HERE. "Your chance to try the entire makeup line for only $15 per month". I think the idea of trying new products little by little is great! and fun !! I just signed up for a Starbox subscription! What will I receive? 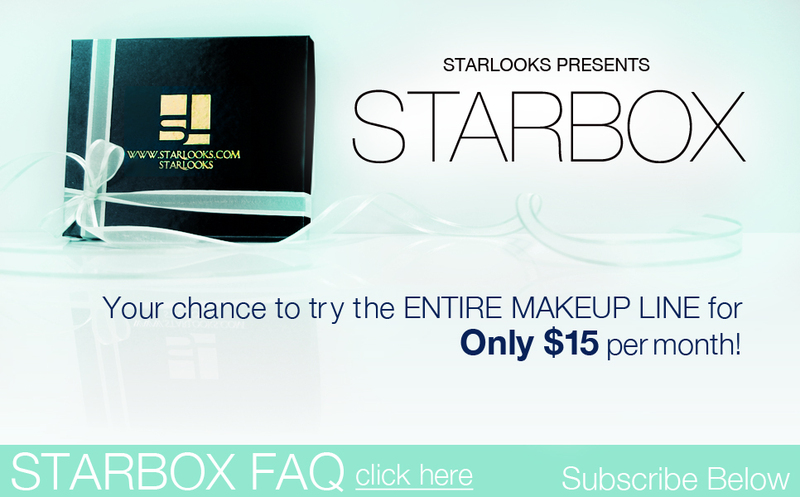 Every month, you'll receive a box filled with 3-4 FULL SIZED pieces of makeup, hair product, or accessories by STARLOOKS. Each month will include a different mix of product types including colors, styles, formulas, etc. You will have more than enough product and choices to confirm they're right for you. You'll also want to take advantage of www.starlooks.com, which is packed with all the beauty information and tips you need, including expert interviews, helpful tutorials, and fun videos about how to apply and where/when to use our products!